We’ve all heard that breakfast is the most important meal of the day, so why not also make it the tastiest? 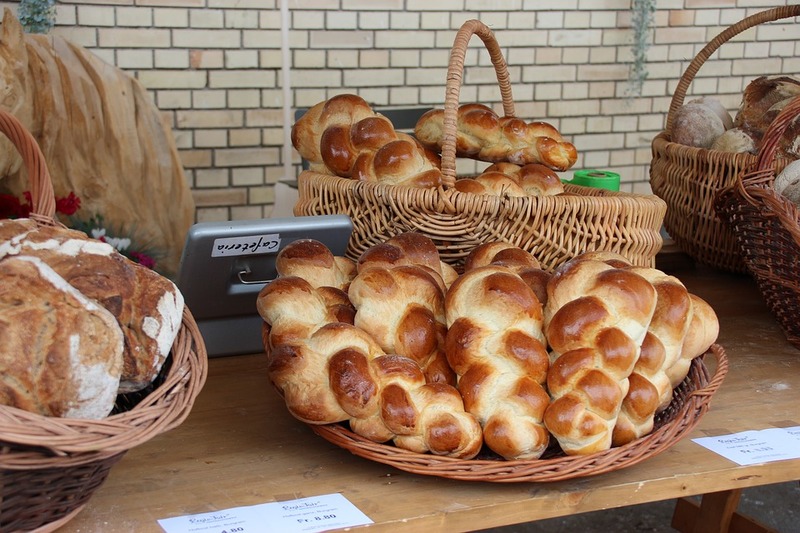 With the delicious taste and texture of challah bread from ChallahGram, breakfast will be something definitely worth waking up early for. A boring bowl of cereal is no match for a breakfast that starts with a slice (or two) of soft and sweet challah. Set your alarm clock for your best breakfast yet. These 3 options will get that belly filled and fueled to kick off your day deliciously! Use a tall glass or an ice cream sundae glass for the perfect parfait. You’ll want this breakfast treat to look as good as it tastes. First dice up one large slice of fresh ChallahGram challah bread into ¾ inch cubes and set aside. Chop ½ cup strawberries and wash and set aside ¼ cup rinsed blueberries. Also get ½ cup plain or vanilla yogurt prepared for layering. Now it’s time to create the parfait. First layer 1/3 of the bread cubes at the bottom of the glass. Top with 1/3 of the yogurt, then one 1/3 of the fruit. Repeat this 3 times and if there are any leftover ingredients, make an additional layer. Top with a sprinkling of raw sugar or a drizzle of honey and enjoy! French toast is always a winner when it comes to breakfast, but when prepared with the best challah you could ask for, the dish becomes truly exceptional. The smell of this hot dish will awaken even the soundest sleeper! Here’s how to make this tasty breakfast meal… Ooh la la! Soak two thick slices of ChallahGram challah bread in a mixture of one beaten egg and ½ cup whole milk for at least 30-45 minutes. Be sure the bread is completely submerged in the mixture and if you need more milk, add some until the bread is covered. Heat one tablespoon butter in a pan set to low heat until melted. Place the slices of challah in the pan and sprinkle with cinnamon. Leave on one side for about 1 minute or until golden brown then flip to create the same crust on the other side. Remove from the pan and plate. Serve with maple syrup, fruit compote, powdered sugar, or plain. What a way to start the day! 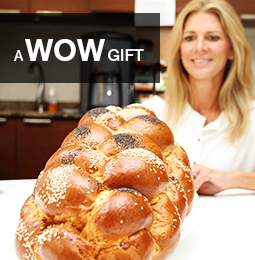 Start with two generous slices of ChallahGram challah bread – toasted or fresh. In a small cup or glass, whisk one large egg with a dash of pepper and a pinch of salt. Chop a bit of green pepper and dice a small tomato half and mix into the egg mixture. For added richness, add a spoonful of sour cream and combine until incorporated into the egg mix. Place a pat of butter or use a non-stick spray in a small pan and heat on low until the butter is melted and the pan is hot. Pour in the egg mixture and softly scramble until fully cooked to your liking. Transfer onto one of the challah slices and top with a slice of your favorite cheese. Top with the other slice of challah and slice the sandwich in half. Serve with ketchup or hot sauce if you’d like or eat as is. You’ll never go for a fast-food or microwaved egg sandwich again! Are you getting hungry for a breakfast that’s better than ever? With challah, every bite is the perfect pick-me-up!